Yesterday’s Segodnya.ru published a speech (or an excerpt) given by former Armaments Chief, retired General-Colonel Sitnov. He now serves as deputy director of RUIE’s (РСПП) Commission on the OPK. Not heretofore a prominent critic, he offers a fairly withering critique of Defense Minister Serdyukov’s reforms. 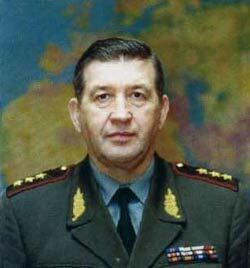 He first offers up Milyutin as an example of someone who made an army reform match its purpose. 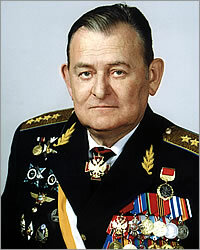 According to Sitnov, Milyutin’s reform of the army enabled it to defend Russia from rapidly growing military powers in the West. He says Milyutin also devised the mobilization system since it was impossible for Russia to maintain a permanent army large enough to cover its expanses. Then Sitnov fast forwards. His first major complaint is cutting the officer corps from 355,000 to 150,000. He believes this was done because the country’s authorities fear it. He criticizes the Defense Ministry’s remaking of the army on the ‘American principle.’ Sitnov says Russia is now trying to defend an enormous country with brigades that are no more than ‘patrol forces.’ He alleges Russia’s brigades can fight for only one day since they lack rear services, reconnaissance, maintenance, staffs, and command and control systems. He argues that Russia long ago settled on the division as its basic military unit to cover its open spaces. Sitnov concludes the Russian Army is unready to fight 5th generation wars. He says America is already fighting 4th generation wars, employing automated systems that integrate units and highly intelligent weapons. But 5th generation war features automated command and control, robot systems, and the use and control of systems with automated means of guidance, targeting, and destruction. And this, he continues, is just the technical part. He rhetorically asks whether an army can perform its missions when the country has no agriculture, industry, science, education, system of state administration or strategy for its development (ouch!). The army reflects society and, in Russia’s case, society’s imbalances are reflected in its army. Sitnov spins off into a geopolitical monologue. He sounds like other ex-generals of the Soviet generation. If the U.S. continues to occupy positions on Russia’s periphery, Russia’s territorial integrity will become an issue in 10-15 years. Foreign pressure on Russia to share its empty spaces and resources, like Baykal’s fresh water, will intensify. Lastly, Sitnov believes it would be naive to think Serdyukov took the decisions on army reform; rather he thinks Serdyukov was just the instrument picked for a policy of purging the army. Now he says, parallel with the army purge, there is a campaign against the MVD. Sitnov’s criticism of brigades makes some sense, but defending the MVD? Also, most observers probably would agree that Serdyukov was simply sent to fix the army, once and for all, and the leadership didn’t worry too much about how.